This mule deer buck was killed near Amery Wisconsin by Randy Haines and is the first reported mule deer kill in the state. It’s not every day that you see a mule deer in the state of Wisconsin and killing one has never been done. Randy Haines of Amery, Wisconsin however did the unthinkable when he brought down a mule deer buck with his bow and arrow last week. While many people are clamoring that the buck was a pen raised deer, the Wisconsin Department of Natural Resources has said that they have no record of any nearby mule deer farms. That being said, the closest free range mule deer herds are in South Dakota, so that means that this buck traveled a long way. 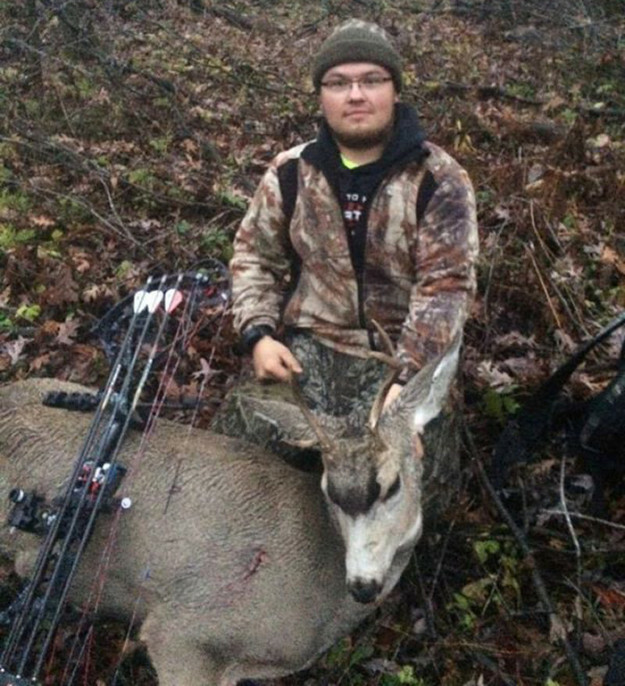 For those who think that this buck may be an illegal animal kill, you’d be wrong. The state law dictates that this is a legal deer since mule deer are not protected in Wisconsin. What a unique experience and a great buck for Randy!